Muirhead, a scientist-engineer at NASA, and science fiction writers Judith and Garfield Reeves-Stevens, who have written numerous Star Trek novels, present with aplomb information about Mars and the people who study it. With its cheery, conversational tone-sidebar headings include ""Martians Invade New Jersey!"" and ""The Photos NASA Doesn't Want You to See! ""-this work may hold the most appeal for teens, but adults without a science background will learn a great deal and be entertained along the way. The interweaving of factual and fictitious representations of the red planet-from The Princess of Mars and The War of the Worlds to the canals once thought to be on Mars's surface and the pictures sent back by the rovers-gives this book a unique perspective. 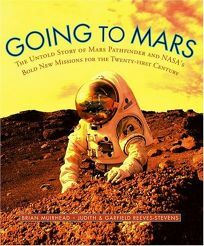 The primary text traces the life trajectories of the scientists behind the Mars missions. Through these biographies, readers learn about the inner workings of NASA; the technical, financial and ethical issues involved in sending spacecraft to other worlds; and what drives the people who work on the Mars missions to push onward. They will also find many perspectives on why the red planet is so intriguing, what answers it may hold to vital questions about our own existence and what the search for those answers (in fiction and fact) has already shown us about ourselves. The clever approach employed in this work makes it fun to explore how scientific revelations about Mars have informed fantasies about the future of life there and to see how those fictions have fueled the desires of many of NASA's best and brightest.